Colossal felt like something special right from the start, with the title printed in tiny letters over its opening credits. Turned out I was right. 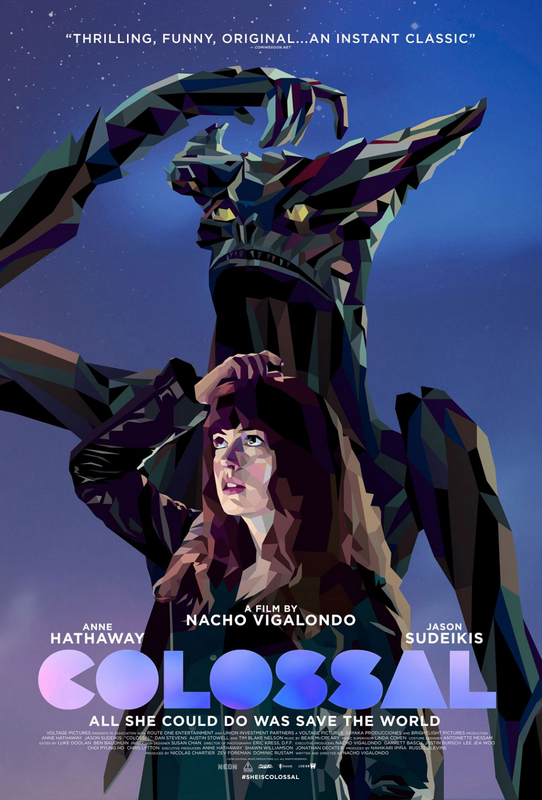 Colossal is a movie about people with personal problems that, instead of the usual deconstruction of something big into something smaller (e.g., a war into a statement on the relationship between the sexes), deconstructs the personal problems into something much bigger: a Godzilla like monster that reigns havoc over the city of Seoul. What can I say? Deconstruction of such magnitude works very well through cinema. And it’s also great art, to boot. I can see Colossal getting “meh” grade ratings, but yours truly found it to truly live up to its name. It is an innovative artistic statement, it deals with things we all feel at the personal level, and it uses science fiction to make a point of that. Who could ask for anything more?